It has come out to our attention that TM has reduced the amount of free LTE data that it offered to new Unifi Mobile users. Originally, the company offered 20GB of data but the amount has now been reduced to 10GB instead. 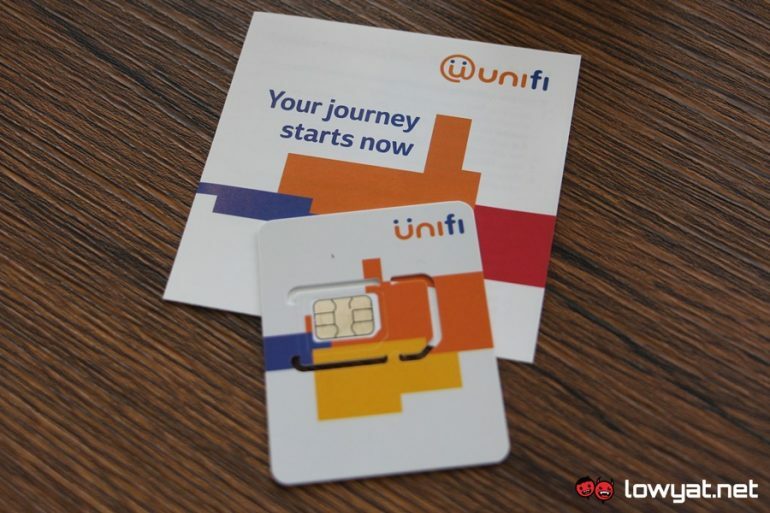 The change has been spotted through promotional banner as well as the FAQ document on UniFi’s official website. At the same time, TM has apparently reduced the maximum amount of SIM cards that customers can obtained at one time from five to three SIM cards per person. 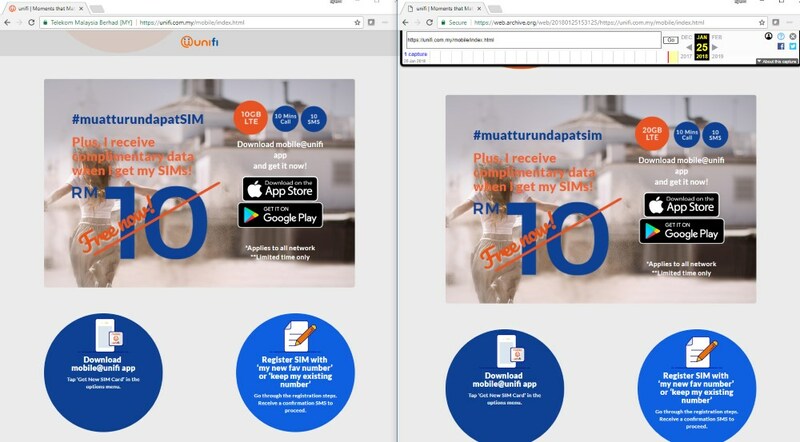 (L-R): The banner on UniFi Mobile’s website as captured today and showed 10GB LTE, while the one snapped last month by the Internet Wayback Machine showed 20GB free quota instead. The change seems rather odd indeed since TM has stated that its 20GB promo for UniFi Mobile will last until the end of March. Could it be that the company is closing to its target of obtaining 1 million customers for UniFi Mobile in such a short period of time? Meanwhile, do note that TM is still offering the SIMs card for free if you choose to collect them at TMpoint or UniFi Lounge. Alternatively, you can have them delivered to your premise for RM 10.60 as delivery charge.